…loves to do?….LEARN, CREATE & TEACH! 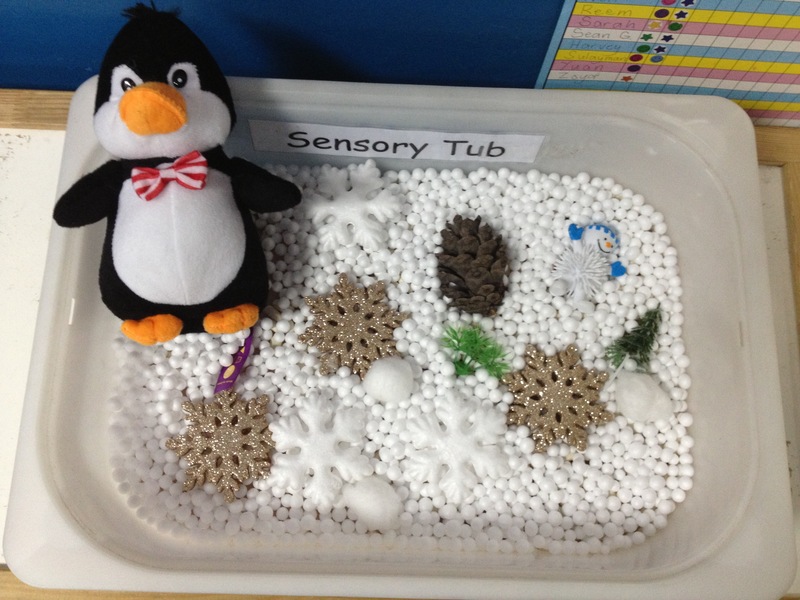 Our Penguin Sensory Tub was a huge hit. 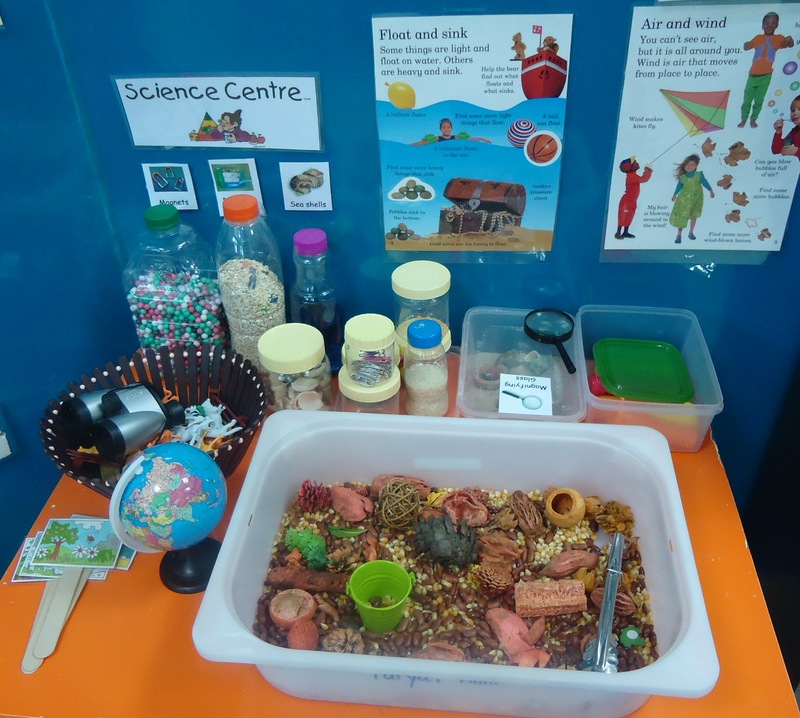 The children enjoyed the sensory experience. 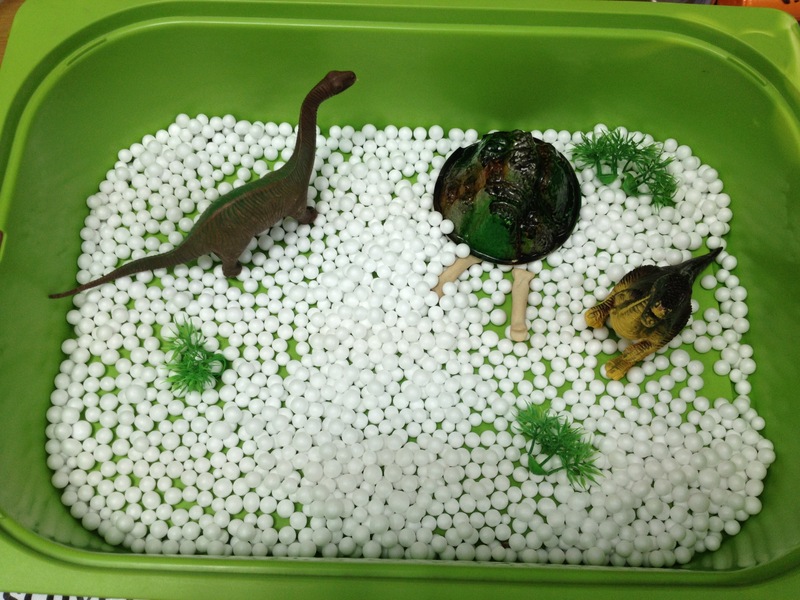 Our dinosaurs in snow sensory tub. 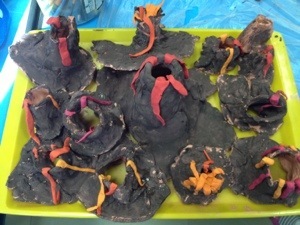 My students used air dry clay to make these volcanoes. These were made during the Dinosaur Theme. I used an Ikea tub with lid along with battery operated emergency light to make my light table. The children just love it. 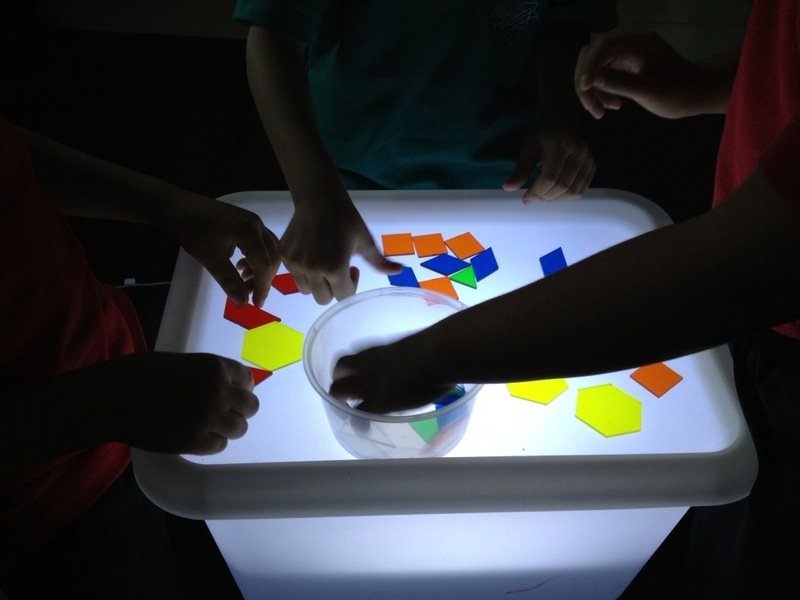 They use pattern blocks to make various objects on the light table. It is very light and portable as compared to the one that needs an electricity supply. 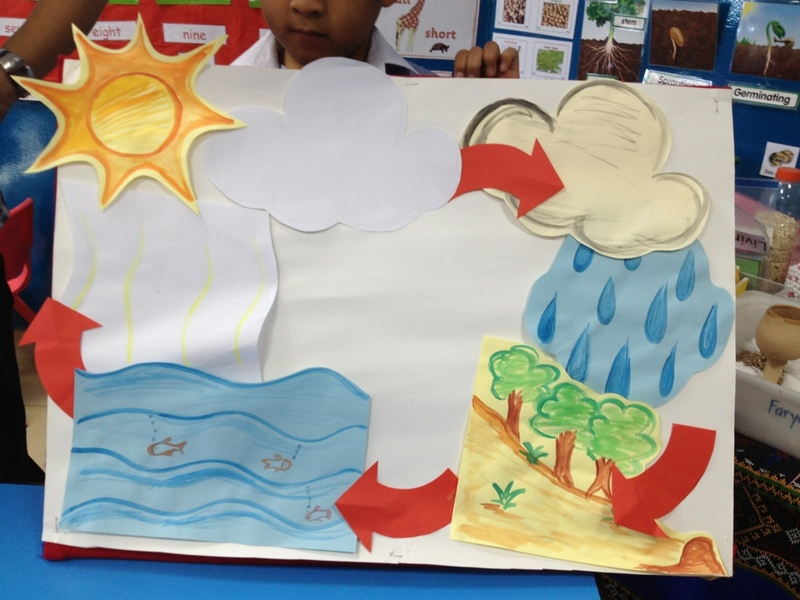 Today we discussed the water cycle during our science lesson. 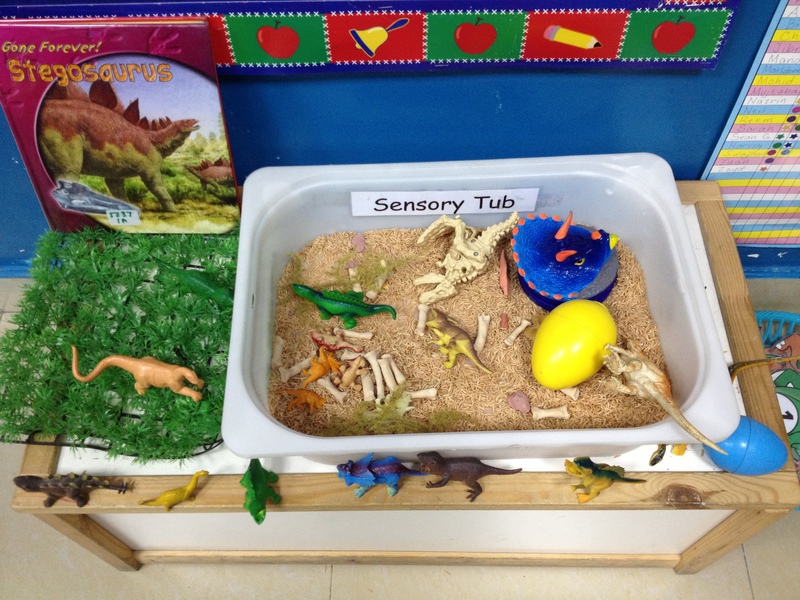 My co-teacher Ms. Julie prepared this display. Students put the cutouts as we discussed.